King trumpet mushrooms are wonderful. they are meaty and after minimal trimming, the stems are edible also. Grilled with a tare sauce and served with steak and asparagus. 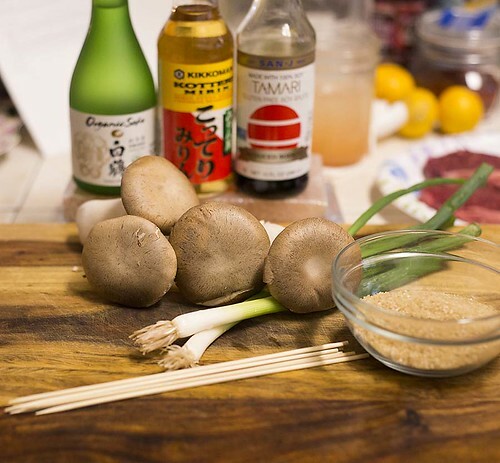 Sake, mirin, soy sauce, Zarame or raw sugar, scallions and King Trumpet mushrooms. You'll need some bamboo skewers also. Get them soaking in water right away. 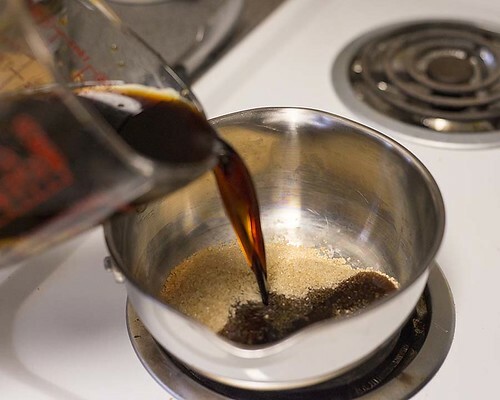 In a small saucepan, bring mirin, sake, soy sauce, and the sugar to a boil. Then simmer for 12-15 minutes to reduce slightly. I saved the stems for another use. continue cooking while brushing with the tare and turning. Now do as I say, and not as I do. Use two skewers not just one like I did. 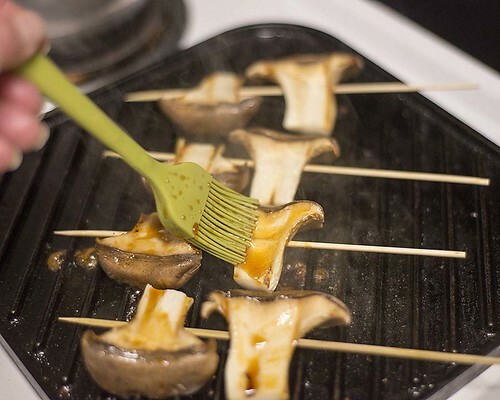 as you turn them so you'll need another skewer to help steady them. Also a word of caution here. when you remove the mushrooms. 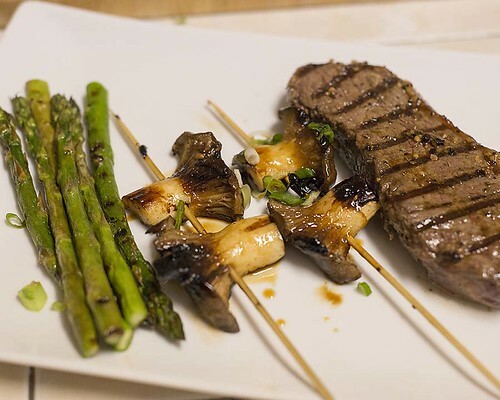 Served with a perfectly grilled steak and grilled asparagus. 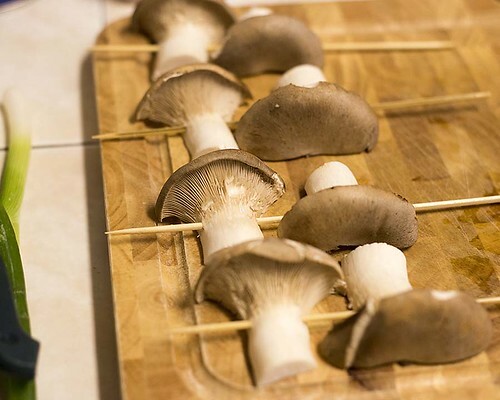 Next time I'm having a meal of just the mushrooms, they are so wonderful. Soak scallion in ice water until crisp, at least 10 minutes. Drain. Prepare grill for medium heat. 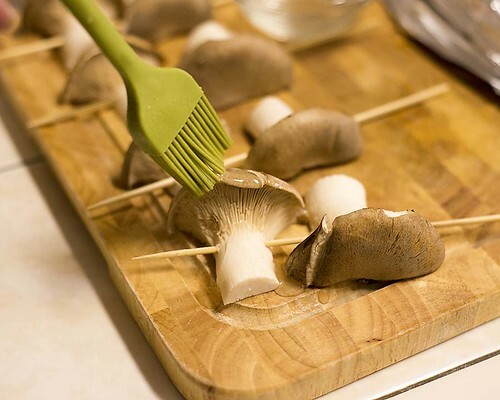 Thread 3 mushroom pieces onto each skewer.